AugNoWriMo is going well and I’m in the midst of some interesting POV experimentation for my WIP. This week, I’ve combed through various articles about the pros and cons of Multiple POVs. Some even mix up present and past tense, while others switch up from 1st person to 3rd. One thing that is a common theme with this methodology is you should do what’s right for the story. If it works, it works. There aren’t any ironclad rules on writing, as we all know. Part of the fun on this writing journey is when we get the chance to play with words. I’ve read two out of the four contest pieces for the 21st Annual Heart of the West Writers Contest sponsored by the Utah Chapter of Romance Writers of America. It’s interesting to see techniques I’ve learned via workshops as well as those that require more refinement. I’m hoping to finish the rest in the next couple of days. Next up on the reading list, my continuation of K.M. Weiland‘s forthcoming Structuring Your Novel. I also have WIP excerpts to go through from my SCBWI critique group. 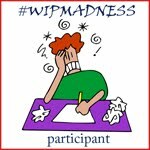 Had our first check-in for #wipmadness on Candilynn Fite’s blog. It’s nice to know everyone’s in agreement that we need to honor our minds and bodies while on our writing journey. The #ROW80 check-ins twice a week, along with other writing communities such as Ali Luke‘s Writers’ Huddle, and SavvyAuthors, are going well, too. I had a chance to pop in on Holly Lisle‘s Forums, as well. All good stuff happening in the writing community. Tonette, meet Udemy. Udemy, meet Tonette. You’ve circled each other for too long. Now, it’s time to boogie. I resisted temptation and did exactly as promised by looking at what I’ve had all along before registering for new workshops. Interesting sessions, so far. This was a perfect course to get because of the long hours sitting at a computer. I recommend this for anyone who sits for extended periods of time throughout the day. Your body will thank you. That last one is more of a self-imposed accelerated course. Since I only have access to my sister’s guitar on the weekends, I did the first week’s worth of classes over the holiday weekend. My calluses are developing nicely. 🙂 The first few lessons are a refresher from my basic level guitar playing days many moons ago. Still, it’s nice to do something creative outside of writing to keep things interesting. I have a bunch of recorded webinars and ebooks I bought at the Writer’s Digest Shop. They’re next on my ‘To Sort and Review’ list. Not to mention all the great content in the magazine subscription. We’re a week into the month of August. How goes it for you? 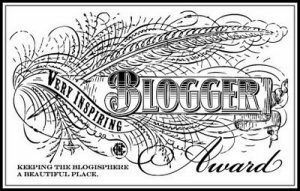 This entry was posted in Round of Words in 80 Days, Writing/Reading Challenges and tagged #ROW80, #wipmadness, 21st Annual Heart of the West Writers Contest, Ali Luke, AugNoWriMo, critique groups, ebooks, experimenting, Holly Lisle, K.M. Weiland, Multiple POVs, networking, POV shifts, reading challenges, SavvyAuthors, SCBWI, Structuring Your Novel, Udemy, Utah Chapter of Romance Writers of America, webinars, WIPs, workshops, Writer's Digest magazine, Writers Digest Shop, Writers' Huddle, writing challenges. Bookmark the permalink. It’s a strange thing that I’ve been reading less since I buckled down and got serious about my writing career. Well, perhaps not actually less…I’ve been doing more editing and proofreading for others, which involves reading, but reading for pure pleasure doesn’t happen as much now since reading for work keeps me busy. Fortunately, Tiffany Reisz’s THE MISTRESS just came out, and I’ve been indulging in long hours of reading each night! Reading, in any form, is a good thing. 🙂 Thanks for stopping by.